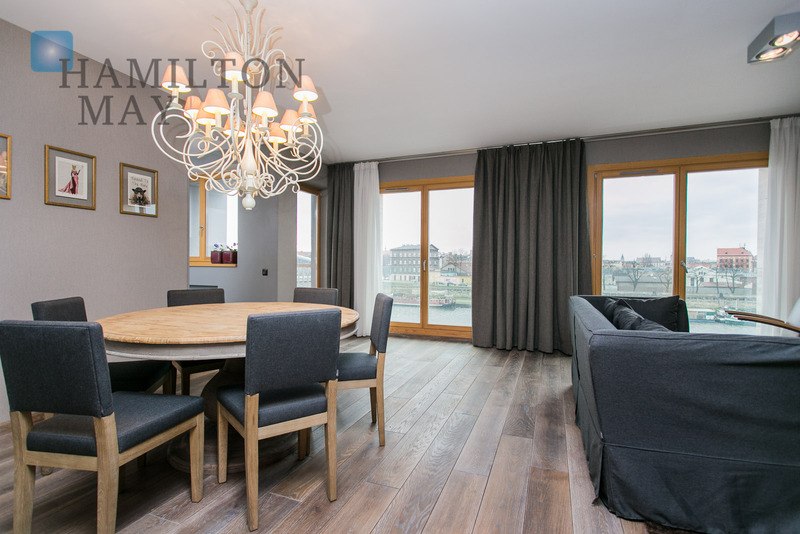 Hamilton May presents a spacious two bedroom apartment with a terrace and balcony, located in the Woronicza Park development. Two-bedroom apartments are an increasingly popular apartment type in Warsaw, so Hamilton May always has a good selection of such apartments to buy in the central suburbs of Warsaw. An apartment with two bedrooms is referred to in Polish as a three room apartment. The standard size of a two bedroom apartment in Warsaw is approximately 60-80 square metres, though developers have recently begun offering new apartments in the range of 50-60 square metres with this layout. Some older style block flat apartments will also have two-bedrooms, but with an overall compact size and very small room dimensions. Occasionally, larger apartments (often in older tenement buildings or prestigious new investments) will be between 80-100 square metres with a two bedroom layout. Due to the increasing number of two bedroom apartments available in Warsaw, Hamilton May always has a comprehensive selection of such apartments available for sale. Two bedroom apartments can be purchased in all parts of Warsaw, from the city center to the suburbs, and in various standards, from basic to luxurious. In the most popular developments, there will always be a good selection of two bedroom apartments for sale. The price for two bedroom apartments is determined more by the location and standard of the apartment rather than the size. The average prices of good standard two bedroom apartments in the Hamilton May offer are around 650 000 to 900 000 PLN. Generally, the larger the size of a two bedroom apartment, the lower the price per square metre will be. This is due to the fact that buyers often look for this configuration in the smallest overall size, which will be more affordable. In most modern developments, buyers of two bedroom apartments will also be able to buy at least one protected parking space with their apartment.